Okay so there’s a bunch load of crap out there on Internet suggesting remedies for the various problems you suffer from. I am not saying they are all bull,but sometimes some of them do not make sense as per researches on the web.Using stuffs found in your home as makeup alternatives can be a very bad idea, there is a reason why cosmetics are cosmetics serving their purpose in their own way. So here is a compilation of things I found which would do you more harm than good. While catching on some YouTube buzz, I discovered a video where a beauty guru innovated the so-called “Oreo Mascara” and spent around $30+ on a Smashbox primer to mix it in, I mean seriously mascaras are cheap,why would you be spending double money and make something that won’t even work(I mean how can that sugary stuff work ?) This idea is totally misleading(as per some critics). Oreo cookies are dark brown in color and may not be the best mascara, also sugar in them can cause some serious eye infections. If you’re looking for a natural toner that’s kind to your face, try rose water or aloe vera juice instead. Dr. Fayne Frey has an idea of how the legend came to be: Since Preparation H is mostly petrolatum and mineral oil, it has a moisturizing effect. “Any moisturizer applied around the eyes can increase the amount of water in the skin, temporarily improving the appearance of fine lines and wrinkles,” she says. So while Preparation H is safe to apply to your face, you’re paying an unnecessary premium for what else it does, er, elsewhere. The above is one hell of an invention, I JUST WONDER HOW DID SOMEONE REALLY THINK OF SOMETHING LIKE THIS ? Take a throwback to your chemistry class in school and recall the subject of pH. Your face has a pH of about 4.5-5 which is slightly acidic, but important it helps to keep the lipid layer intact. Whereas baking soda has a pH of about 9. Using baking soda as an exfoliator is a huge no as by doing so you are disturbing your face’s pH balance, which can lead to destroying your skin’s barrier. Other than that, you can use baking soda as a deodorant or mild exfoliator for your knees or underarms. Another famous use of baking soda is for whitening teeth. Though, this is an effective method, but I heard from a dentist that this can cause damage to the enamel. It can make your teeth prone to new stains, discolouration and also make it easier for plaque to grow and decay. Hence, if you use this method to whiten your teeth, I would suggest you to practise this only 1-2 times in a month. Using the peel of banana or strawberries for whitening teeth is a totally harmless and an effective alternative. 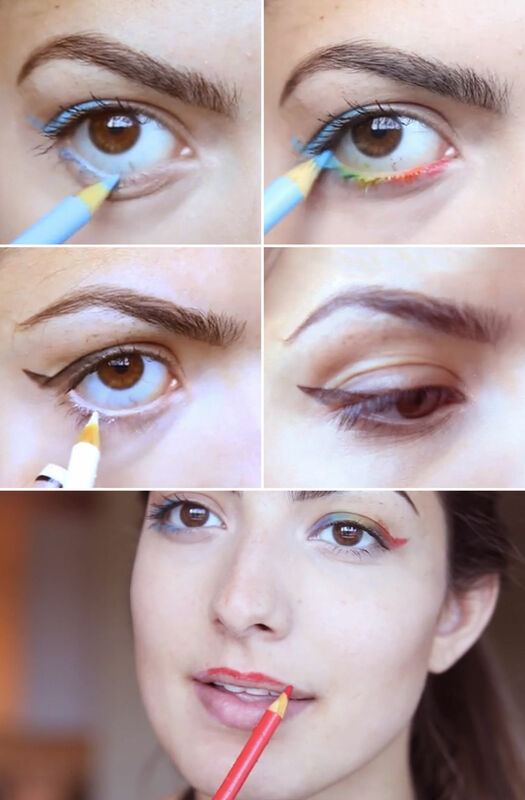 Another famous YouTube Guru was seen doing this, I can’t believe the number of times she said “Non-Toxic hence I can use on my eyes & lips”, Just because a colour pencil is non toxic, does not mean that it can be used on your eyes or lips! Eyes are very sensitive and important part of your body. You can not just be sticking around random things over it as an alternative to makeup! While makeup ingredients are highly regulated and contain preservatives that prevent bacteria from growing in the makeup. Art supplies are not held to the same standards and do not even have to list ingredients on the label. Spend a few bucks to get a good eyeliner instead of experimenting with such dangerous alternatives. There are a tons of such other DIY that claim to be wonderful but turn out to be a huge mistake! I would always advise you to carefully think about the things you are using on your body. 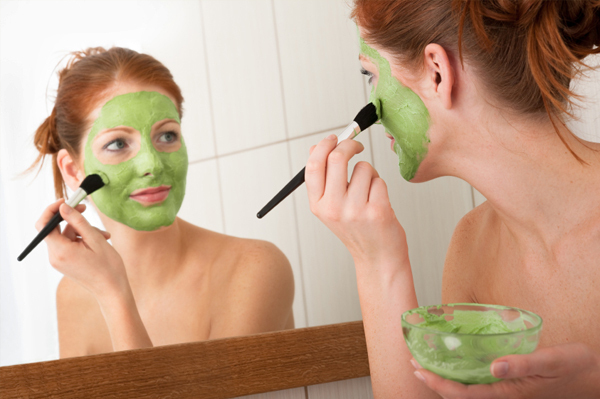 Though DIY is great but researching a little about the things you are using on your face can be really helpful. Do you know about any such crazy DIY going around? Let me know about them by leaving a comment below. I can’t believe all the things people try! Baking soda is a pro! It works so well that people won’t leave it easily. Yes, you are just asking for trouble if you use colored pencils for makeup. I do not want to think about how you are supposed to remove the colored pencil colors from your eyes and face.